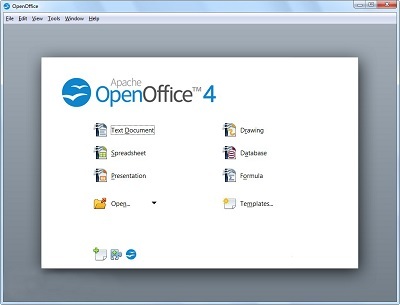 OpenOffice 4 in Windows, Linux, Mac OS X formats. OpenOffice 4 is often regarded as the best Linux software available on all platforms. The standard edition of Openoffice optimised for speed and the ability to run VBA macros from Microsoft Excel. OpenOffice 4.0 is both an Open Source product and a project. The product is a multi-platform office productivity suite. It includes the key desktop applications, such as a word processor, spreadsheet, presentation manager, and drawing program, with a user interface and feature set similar to other office suites. Sophisticated and flexible, OpenOffice.org also works transparently with a variety of file formats, including those of Microsoft Office.